Can You Work Out These Emoji Of London Pubs? M@ Can You Work Out These Emoji Of London Pubs? Click or tap for a bigger version. Here's a little puzzle to while away your lunch hour. 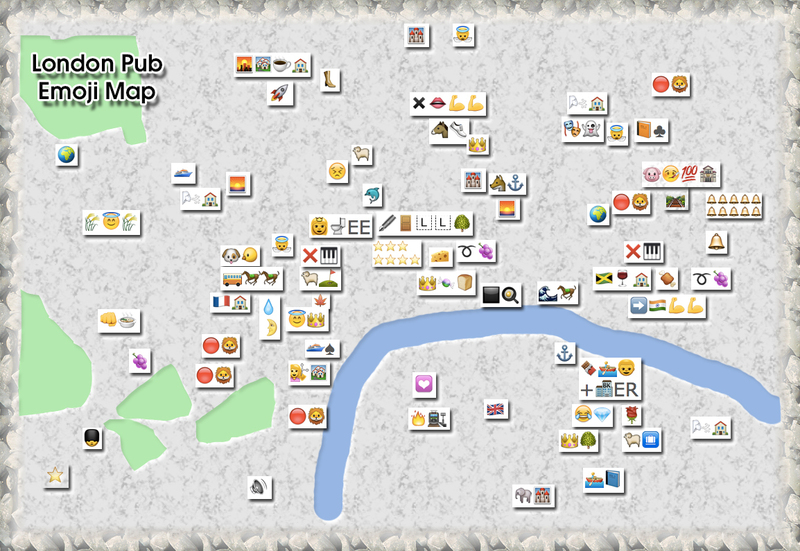 See if you can identify the London pubs in the map above, which we've represented in emoji. For example, the icon at the extreme top-left represents The Globe — the sports pub beside Baker Street tube. Some are obvious, some are devious. If you like this, then try our emoji place name quiz.